Operation Lifesaver Inc. (OLI) announced the award of $148,500 in grant funds to eight rail transit agencies in seven states for public awareness and safety education projects. The local rail transit agencies and Operation Lifesaver programs will work together to produce educational projects utilizing the nonprofit organization’s “See Tracks? Think Train!” campaign, which was developed in partnership with the Association of American Railroads and the U.S. Department of Transportation. The ongoing campaign’s message is that whether driving or walking, when people see tracks, they should use caution and be alert for approaching trains, light rail vehicles or streetcars. The grant campaigns will increase public awareness of rail transit surroundings and help people pay attention in potentially dangerous situations. 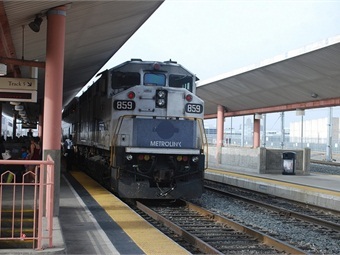 Southern California Regional Rail Authority (Metrolink), Los Angeles. Sonoma-Marin Area Rail Transit (SMART), Petaluma, Calif.
Metropolitan Atlanta Rapid Transit Authority (MARTA), Atlanta. KC Streetcar Authority, Kansas City, Mo. Metropolitan Transit Authority of Harris County, Houston. The grants range between $13,500 and $20,000 and require each agency to provide a 25% match. The educational campaigns must use OLI-approved materials and logos and be coordinated through a state OL program. A team of transit safety and education professionals evaluated the applications based on criteria such as key safety messages and target audiences, evaluation methods and timelines. Safety campaigns will launch by spring 2016, Corcoran noted.